Special Storytime | Welcoming Billy the Goat Statue!!! 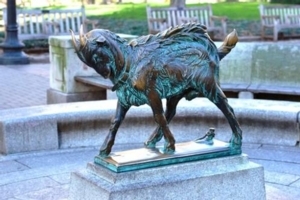 The original Billy the Goat Statue in Rittenhouse Square will be moving to a new home in our Children's Room. Please join us for a special storytime to welcome Billy to the Library!